There were so many incredible rooms that we don’t envy Barbara Winslow her job. These were her finalists but I’m sure it took a lot of discipline to make her selections. These FIVE winners are not displayed in any priority. 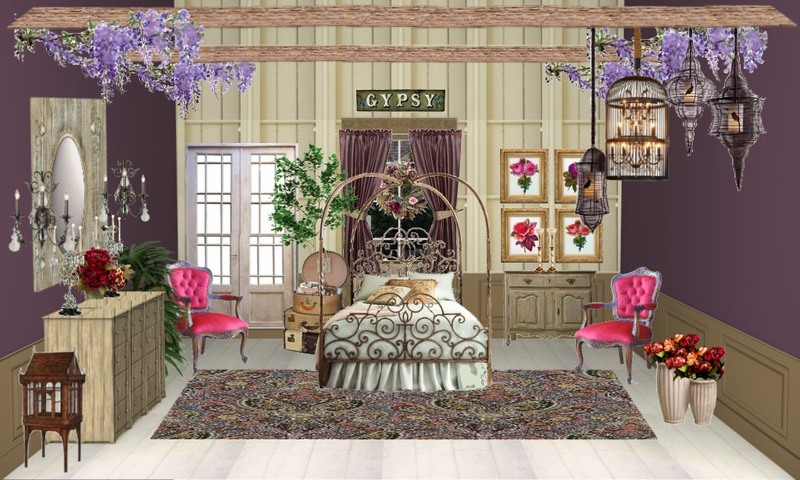 Barbara says on Teresa’s design: I love everything about this room, from the rich plum walls to the canopy bed and the unexpected hot pink chairs. Wonderful birdcage and chandelier details, and the flowering vines hanging off the beams add a romantic touch. Also love the suitcases next to the bed. A great room! Barbara says on Sally’s design: I actually had three of Sally’s entries in my top 10 favorites, but ultimately chose this one for its beautiful jewel tones and overall bohemian feeling. Love the stained glass lamps, gorgeous chairs, and details like the old books ont he side table. Really well done! 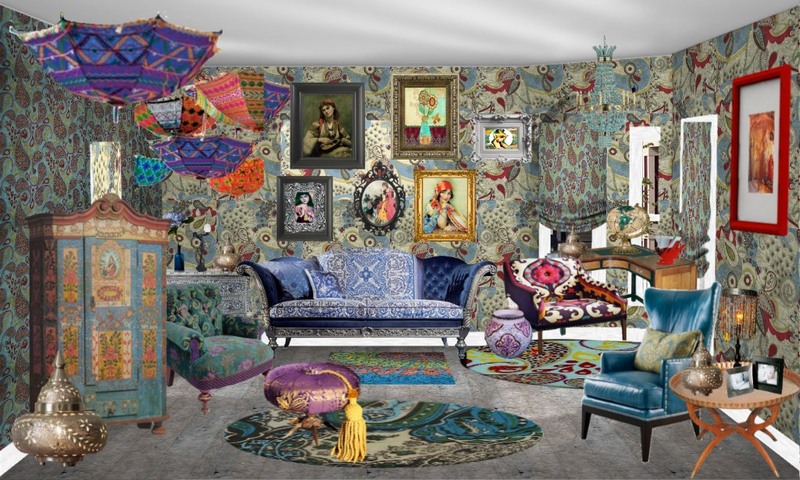 A sophisticated gypsy parlor! 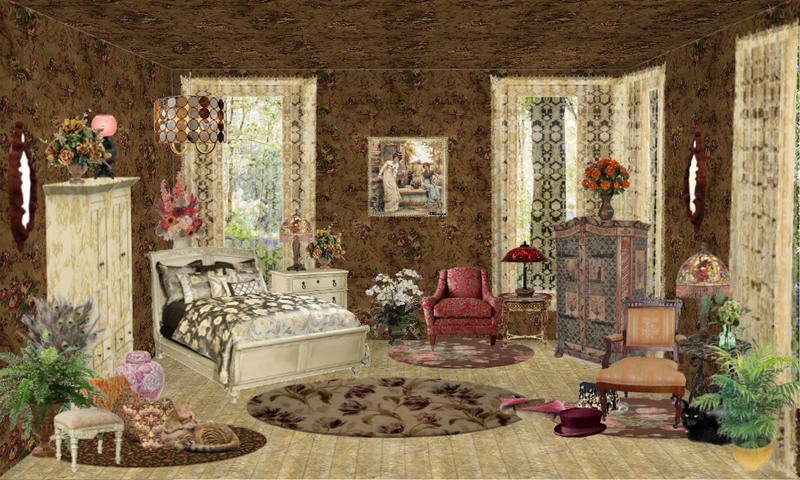 Barbara says about Brandi’s design: I had a very emotional reaction to this gorgeous bedroom; the wallpaper is very similar to my own bedspread! I love the romantic details (flower everywhere!) and the interesting details like the peacock feathers, vases, pillows, top hat , and kitties! Romantic Victorian bohemian at its best! Barbara says about Ronnie’s design: Gypsies Gone Wild! I love the energy in this room! Using fearless color and pattern, she really nailed the Moroccan/ethic gypsy feeling. Everything about this room is fun and untamed, and the upside down umbrellas are a brilliant touch! 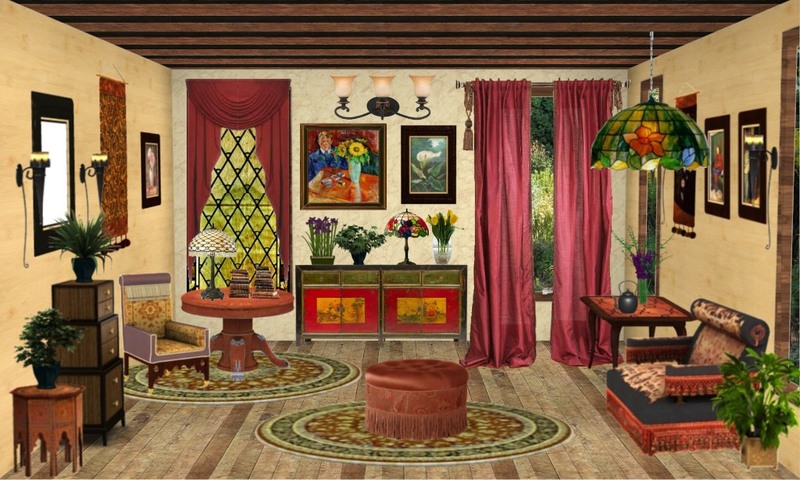 Barbara says about Bonnie’s design: This room is fabulous-perfect Gothic Gypsy! I just love that she was brave enough to use so much black, yet it doesn’t look stark: she warmed it up with wood floors, green plants and that GORGEOUS door, and the lovely tapestry sofa. It’s a room I would love to curl up in on an autumn evening reading Wuthering Heights! Brilliant! 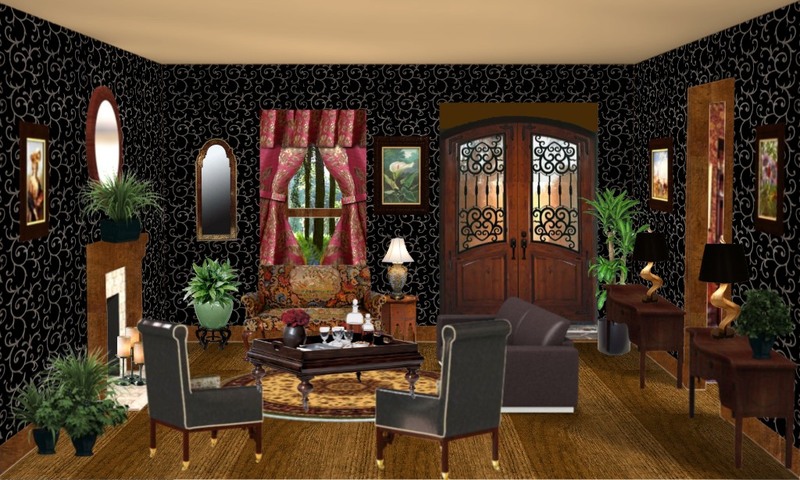 We are indebted to Barbara Winslow of Gypsy House Designs for her time and fabulous taste! We are so glad she was willing to join us this week. Please everyone! Check out her beautiful blog and also take a look at her wonderful jewelry at Ophelia’s Adornments. Let’s support her wonderful art! ← Who doesn’t love a good steam?